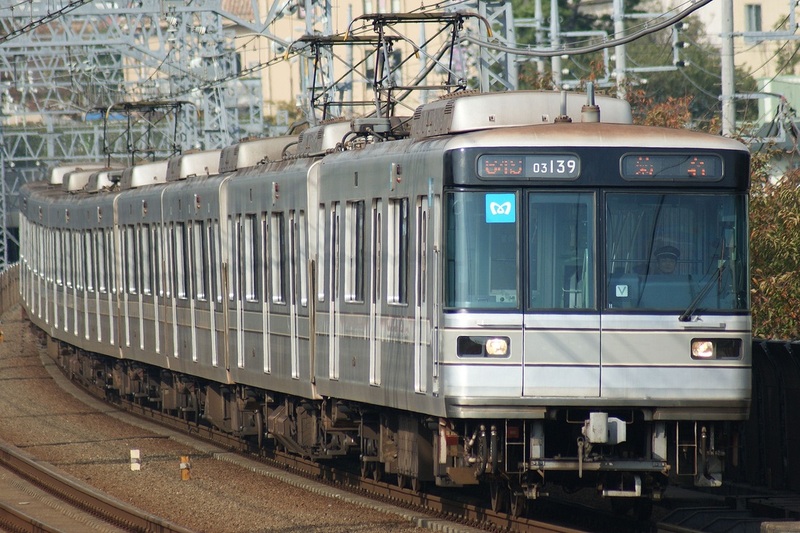 The 03 Series is a three-door commuter-type Electric Multiple Unit developed by the Teito Rapid Transit Authority (Currently Tokyo Metro) to supplement and eventually replace the 3000 Series trains on the Hibiya Line. 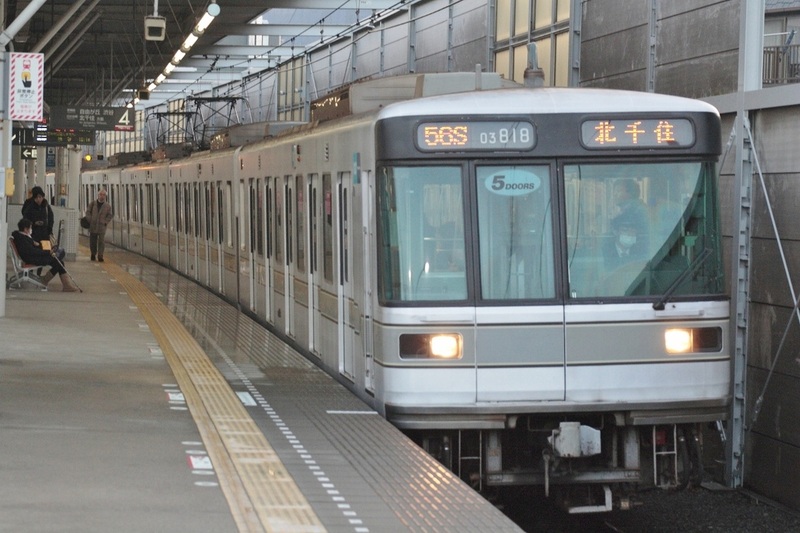 The design shares many features with the 05 Series trains which were being designed for the Tozai Line and share some cosmetic similarities. It was designed, built and put into service in just 10 months. Standard cars have three doors on each side but five door cars were also produced. These cars were designed to shorten the time it takes to get on and off a crowded train. The first 25 formations used chopper control but formation 26 and on were switched to variable frequency drive using an IGBT element. The two design themes that the 03 Series was built around are "High Quality" and "Adult Sense."